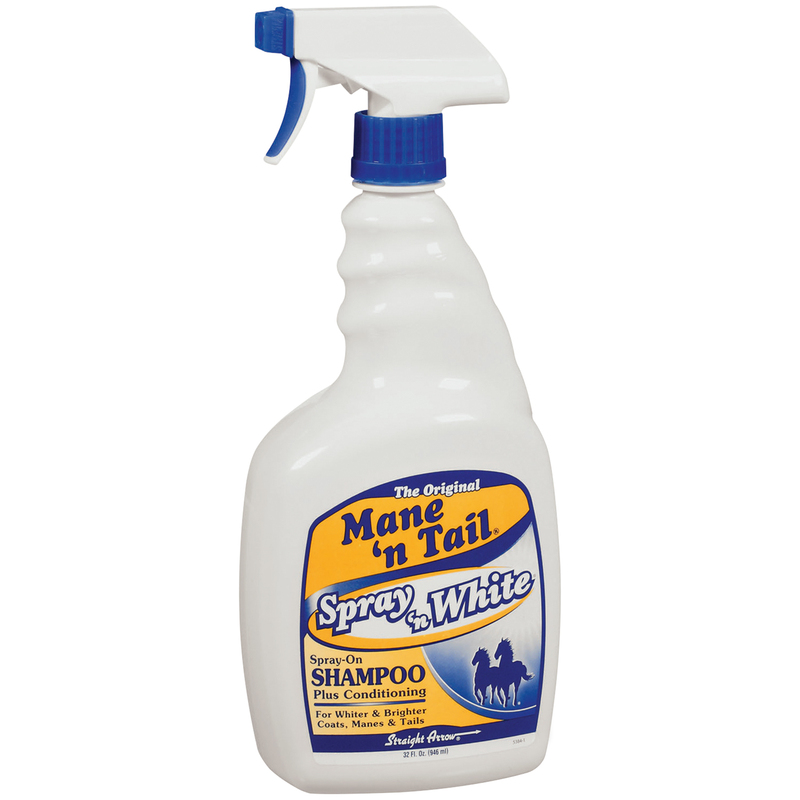 Addtionally, Mane ‘n Tail® Spray ‘n White contains optical brighteners to highlight and intensify white, gray and gold coats. This shampoo also helps with removal of stains including grass, manure and urine. Its gentle pH balanced formula contains no bleaches or peroxides. 32 oz.